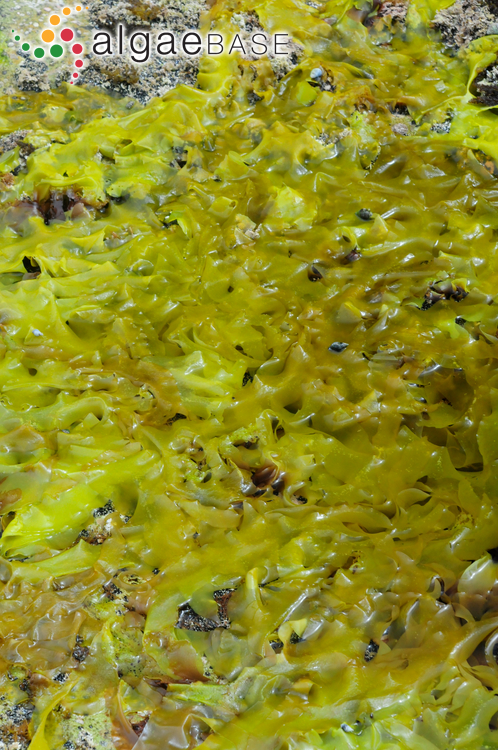 Sarcothalia radula?, Safety Cove, Tasmania, Australia. 01 Nov 2009. M.D. Guiry. © Michael Guiry (mike.guiry@nuigalway.ie). Albany, Western Australia.. John Huisman. © John Huisman (j.huisman@murdoch.edu.au). Thamnoclonium dichotomum (J.Agardh) J.Agardh Albany, Western Australia. The type species (holotype) of the genus Thamnoclonium is Thamnoclonium hirsutum Kützing. 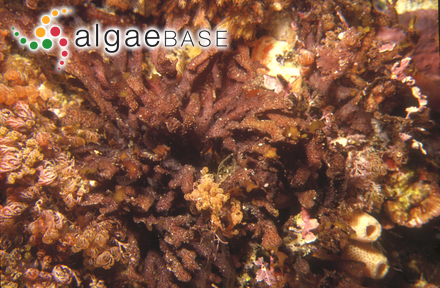 Type locality: "ad oras Novae Hollandiae" (New South Wales, Australia) (Silva, Basson & Moe 1996: 204). Lectotype: Sieber; Herb. Agardh, LD 23051 (Womersley & Lewis 1994: 214). Notes: Womersley & Lewis (1994: 214) notes that there is an isolectotype in MEL (606050) and that Sieber collected from the Sydney region, N.S.W., not in W. Aust. as stated by Chiang (1970: 62). 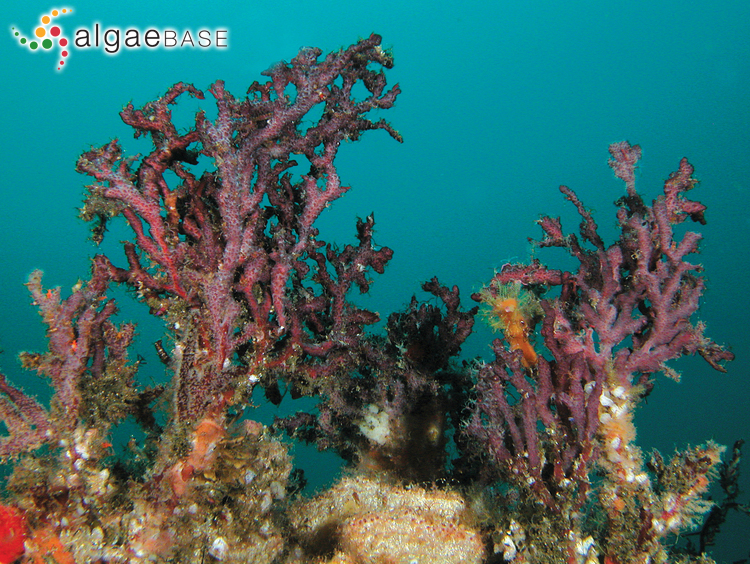 From depths of two to at least 30 m; attached to rocky substrata in regions of strong tidal currents, although they are also able to tolerate considerable siltation (Scott et al. 1984). Scott, F.J., Wetherbee, R. & Kraft, G.T. (1984). The morphology and development of some prominently stalked southern Australian Halymeniaceae (Cryptonemiales, Rhodophyta). II. 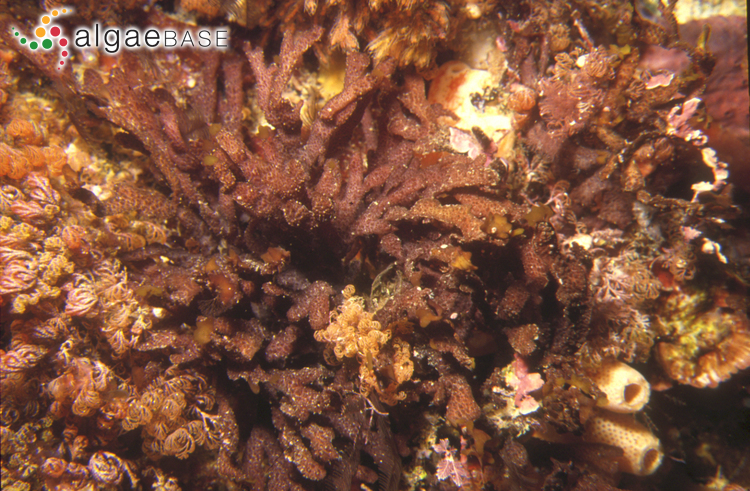 The sponge-associated genera Thamnoclonium Kuetzing and Codiophyllum Gray. Journal of Phycology 20: 286-295, 24 figs.